DWP 052: Can You Believe She Actually Had The Nerve To Claim She Was Confused As To Why He Called Her For A Date – And More! 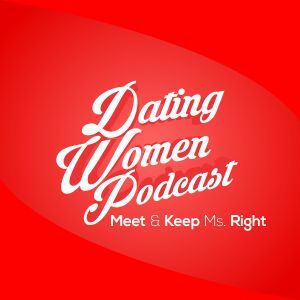 >> DWP 052: Can You Believe She Actually Had The Nerve To Claim She Was Confused As To Why He Called Her For A Date – And More! *ARE YOU READY FOR MS. RIGHT? *SHE SAID SHE “DOESN’T UNDERSTAND WHY YOU’RE CALLING ME” IN RESPONSE TO HIM LEAVING A MESSAGE ABOUT WANTING TO ASK HER OUT! *WHAT IF SHE PUTS YOU INTO THE “BROTHER ZONE” ON THE DATE? *DON’T PUT IT ON HER TO CALL YOU FOR A DATE! *HOW DO YOU DO THE KISS TEST IF YOU’RE ALWAYS USING PUBLIC TRANSPORTATION? *SHOULD YOU GO FOR THE FRIENDSHIP WITH A WOMAN THAT WOULD BE A GOOD BUSINESS CONTACT FOR YOU? *WHAT IF YOUR EX HAS A VIOLENT BOYFRIEND? *IF YOU HAVE A HANDICAP, HOW CAN YOU MAKE HER FEEL COMFORTABLE? MAKE HER LAUGH! *WHEN THEY USE THE WORD “TENTATIVE” WHEN SETTING A DATE IT’S DONE!